Suffering from poor internet connection in Pune city and looking for the best options available for high-speed internet, led me to check the latest Reliance JioFi Router. With an attractive price tag of Rs. 2899/- (today, the official price is Rs. 1999/-), a free SIM card and unlimited 4G network connectivity up to 31st December 2016. I decided to give it a try simply because I felt there's nothing much to loose. This was back in the first week of September 2016. In the last 2 months, I have been using the Reliance JioFi 4G router every single day for more than 8 hours and I have to say that I am never disappointed by it. This is my review of the Reliance JioFi router that's been nothing short of a pleasant surprise. Q. 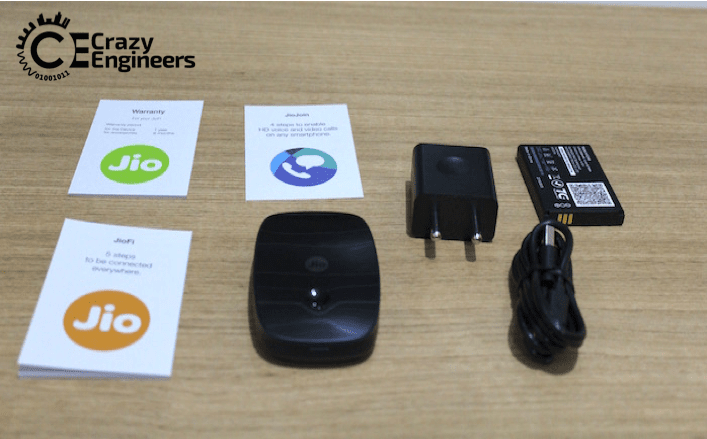 First things first, where and how can you get a Reliance JioFi router and what is cost? On visiting the Reliance Digital store, you will be asked to fill up a 'Customer Acquisition Form' (same as what you fill up for getting a new SIM card) and submit the documents. Q. How to activate the JioFi router? You need to do tele-verification for activating the JioFi Router. Simply Call on the number: 1800-890-1977 from the registered mobile number (the one you put on the form), this will activate the data services. You receive an SMS on your registered mobile number and then the device gets activated within the next 4 hours. 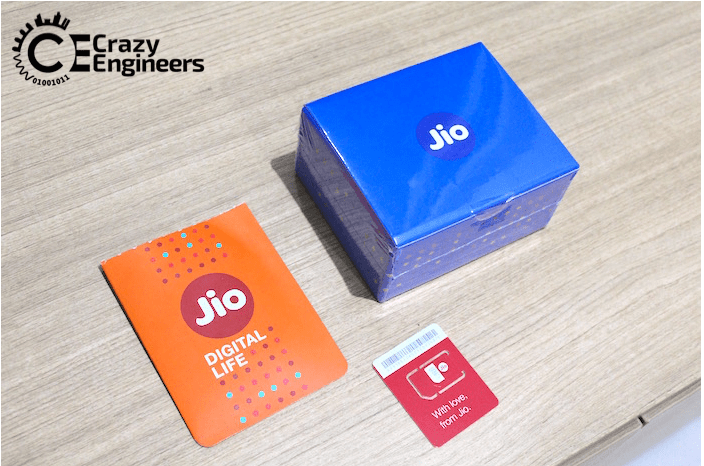 The JioFi router comes in compact blue box and the Reliance Jio 4G SIM Card comes in bright orange pocket (free with the JioFi device). As soon as I brought the device home, I unpacked the box and found this small device inside it. Of the size 8.5 cm x 5.5 cm, the JioFi router looked really portable. I could literally carry it in my jeans pocket or even in the small pouch or purse I carry around. Made completely out of plastic, the outer body of the device does not add to any weight at all. The device is really lightweight and the curved edges makes it easy to pick up and place wherever you want. It also looks pretty good on the desk by my machine. On the front side of the JioFI router, you will find a single round ON/OFF button and the Jio logo in the middle. In charging mode, the device only lights up the LED lights on the right hand side to show the battery symbol. Inside the blue package box, I found an instruction manual, a warrant book, the battery, the charger and the charging USB cable. Q. 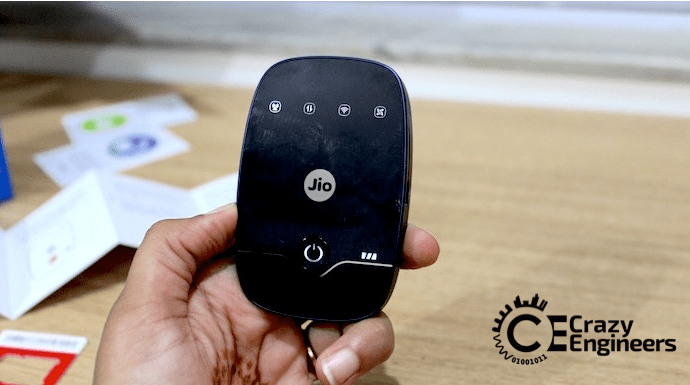 How to insert the Jio SIM Card in the JioFi router? Q. How to turn ON the JioFi Router? You have to press the ON/OFF round button on the front of the device for 2-3 seconds. On doing so, the 4 LED symbols on the top of the device will get lit up. That is a signal that the device is turned on. The JioFi router takes about 10-15 seconds to boot up. Once switched ON, it shows the first 3 symbols. I call these 3 the tower, the data and the WiFi. On most days, I can stream YouTube videos in HD quality without a break and I can download software or games quite easily. 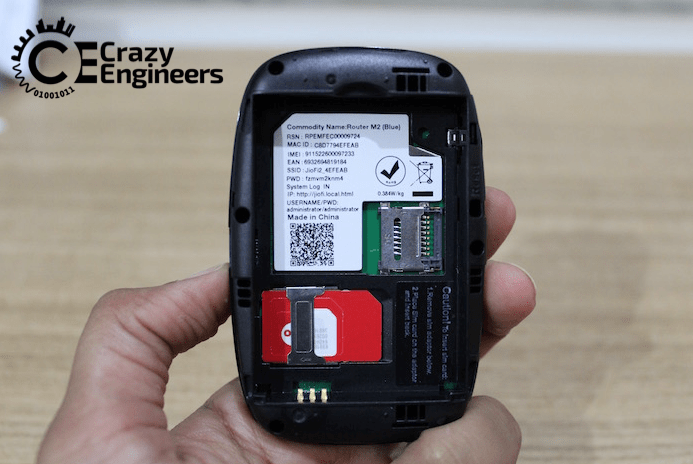 What's interesting about this compact device is that, it lets you connect up to 31 devices. 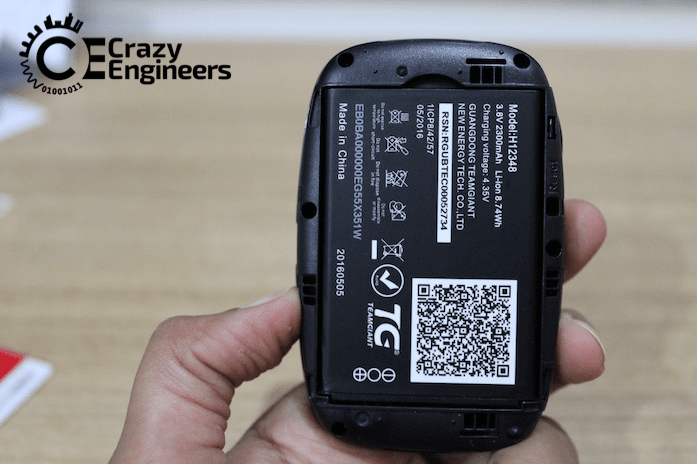 This means, you can take it to a party or a conference and 31 users can simultaneously share the 4G WiFi speed. (You ought to note here that, the recommended device limit is 10). I tested it by using 7 devices simultaneously in my house and found that everyone shared the same speed. 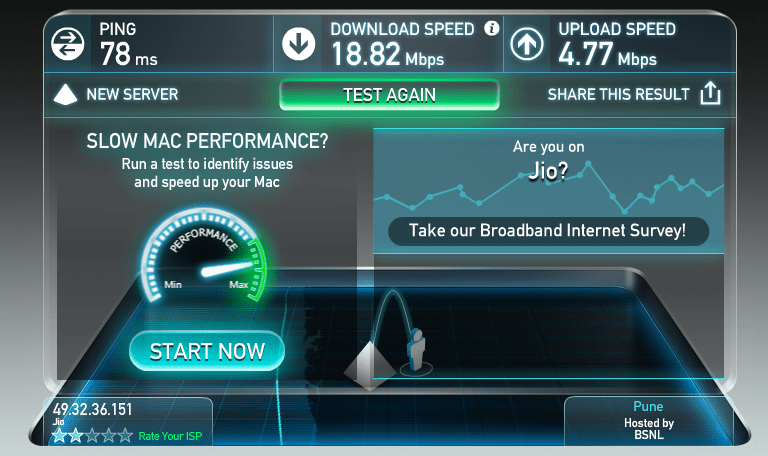 As I said above, I have been regularly using the JioFi router in Pune. So, to test how it works on-the-go I took it for a spin in my car around the city and outskirts and was amazed by the speed I got. I recently also took it with me on a train to Mumbai and I along with my 3 friends could access WiFi throughout the journey (barring a few minutes in areas of poor connectivity). In Mumbai (the city that got the taste of Reliance 4G speeds pretty early on), I could use internet day-in, day-out for 4 days. How is the Reliance JioFi router's battery life? The company says that the device lasts about 7 hours on full charge and I've seen that it delivers on its promise. I typically charge my JioFi router at the end of the day for about 30 to 40 minutes and it's good to go again the next day. I am left with about 2.5 months for having access to the introductory offer unlimited data plan and I am still wondering if I will keep using the device post December, given the fact that the Reliance Jio 4G plans aren't as attractive and budget-friendly. Till 31st December, if anyone wants to access 4G speed, unlimited internet, you can go grab the JioFi router in the nearest Reliance Digital store today. If anyone has any questions about the router, its working, any issues they are facing, please let me know in comments below. I will try my best to address your comments. I want to ask you that, will it support other operators sim cards? That's the first thing I confirmed while I was in the Reliance Digital Store. Unforunately, the JioFi router is carrier locked. So, it only works with Reliance Jio SIM cards. In fact, it is functional only with www.jiofi.local.html and has no other configuration software. Interestingly, the guy at the store also told me not to remove the Jio SIM card to put in another regular smartphone, as he said it will get the SIM card locked and it will not be usable again on the router either. Now this is something I didn't give a try for the fear of losing connectivity and my free access to unlimited 4G internet for the next 3 months. Can you guide me in native language chatbot project?